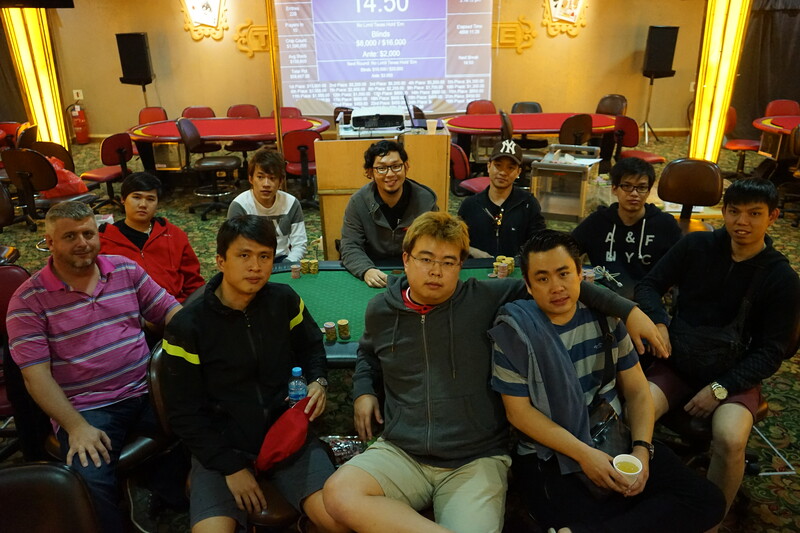 Poker Kaki - LWPS XXII: Season 6 Kicks Off with a Roar! LWPS XXII: Season 6 Kicks Off with a Roar! 2 months ago the Singapore government officially enforced the ban of online poker. This left many poker players in doubt of what was to become of the poker scene. Will poker see a fall as fast as its rise when we felt the ‘Chris Moneymaker effect’ on our shores in 2004? We found our answer at the 22nd instalment of LWPS. With a resounding response of 228 runners for the main event - just three shy of the record turnout - poker continues to thrive in the face of adversity. Day 1 told the story of two very different flights; one rewarding the slow and steady while the other enriched the fast and furious. In the end, 52 players made Day 2 with overnight chip leader Chua Koon Yuan leading the charge. Among the field were three former champions: Ho Bao Qiang (also among the chip leaders going into Day 2,) poker heavyweight Aaron Lam, as well as Jimmy Yar, the clean-cut chip assassin. 27 places were paid this time around, so that meant every player had more than a 50% chance to make the money. Those who made the money but fell short of the final table included Aaron Lam (18th), John Low (17th) and Jimmy Yar (10th). The final table was littered with bloodthirsty veterans and a first time LWPS participant on his maiden voyage. And quick to draw blood they were. Dutchman Peter de Groot made a tremendous call with KcJh from the small blind against Ho Bao Qiang’s QsTs sizeable shove in the big blind. Peter spiked a K off the bat and never looked back while Bao Qiang got dispatched in 9th place, reeling in disbelief. Cheng Cher Whey was the first to pounce on the ‘new guy’ Chua Koon Yuan, finding his 6s6d dominating Koon Yuan’s 5s5d. The board came As7hKc2d but the poker gods smiled upon Koon Yuan, delivering a 5c on the river to send Cher Wei to the rails in 8th. Peter found himself involved in another big pot soon after, this time against Anton Wijaya, a seasoned cash-game player from the old guard. Peter’s AhQd met with Anton ’s pocket kings -the first hand the latter played since the final table - but in typical LWPS fashion, found an Ace on the board to knock Anton out in 7th place. The underdog story continued when Kan Ming Zhou, who had been relatively quiet climbing the money rungs, got in all his money good with Kh2h against Neo Zhi Han’s 2s6s. The flop came a foreboding 2d5c2c and the nail in the coffin came by the turn for Ming Zhou when a 6d dropped. Ming Zhou exits the tournament in a respectable 6th place. With the blinds getting higher and significantly eating into his stack, Goh Jun Rui made a stand with all his chips by making a decisive call against Koon Yuan, only to find his AcTh way behind Koon Yuan’s QdQh. Unfortunately the trend of the underdogs winning halted and Koon Yuan’s queens held on, consigning Jun Rui to 5th. After being heavily damaged a hand before, Peter put his tournament life in the hands of Ad3c, only to be strategically called by everyone else. Eventually, Koon Yuan’s Kh9h made a straight on a board of 7d 2s 5d 8d 6h to end Peter’s dreams of bagging the trophy. Chua Xue Wei, who had a roller coaster journey since making the money, tried to pull off an audacious bluff on the turn against Koon Yuan on a board of 7c6s2d6h holding Qc3c. Unfortunately, Koon Yuan made the snap call for all of Xue Wei’s chips, tabling 6c7d for a large boat, leaving Xue Wei drawing dead to 3rd place. Neo Zhi Han, a long-standing stalwart of the series, now faced the herculean prospects of the on-fire Koon Yuan, in addition to a seemingly insuperable 5-1 chip deficit. Tragically for Zhi Han, the odds proved too much. He moved his remaining chips into the middle with Ad6s, and fell short when Koon Yuan’s Kd7h connected with the 9h Kh 4d Th 5d board, crowning Koon Yuan the new LWPS champion! 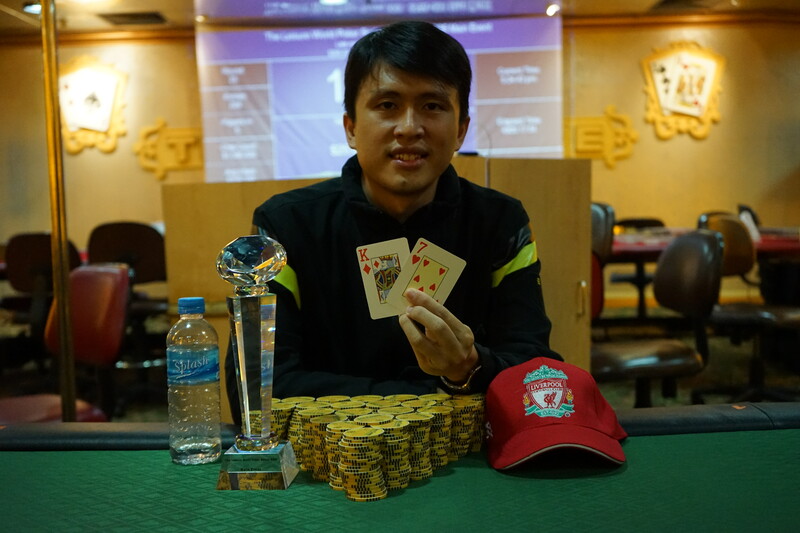 Congratulations to Koon Yuan, who cleaved handily past an experienced final table to emerge victorious, pocketing a decent chunk of change for his efforts! The Leisure World Poker Series thanks all participants for making LWPS XXII the smashing success it was. Congratulations to all winners, and we’ll see you all again in a few months! Browse our comprehensive event picture gallery on our Facebook page.